The 2016 Ford Fiesta rolls into the new year balancing a great amount of technology, excellent efficiency and established value. It is a highly recognizable small car face with a sporty feel and a set apart character. This car is legendary and Ford has taken it to new heights showcasing the fact that subcompact cars have a place within the industry. A new addition for the model year is the addition of the Sync 3 system as well as new exterior colors and a cool looking SE Black Package. 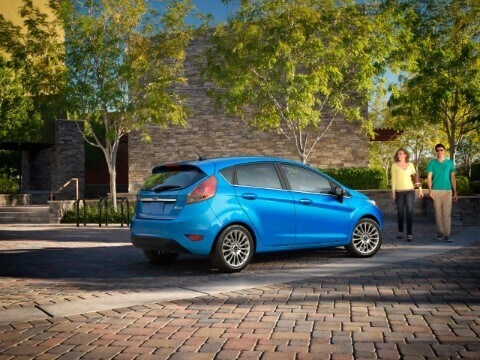 The Fiesta comes in two body styles including a sedan and a hatchback. 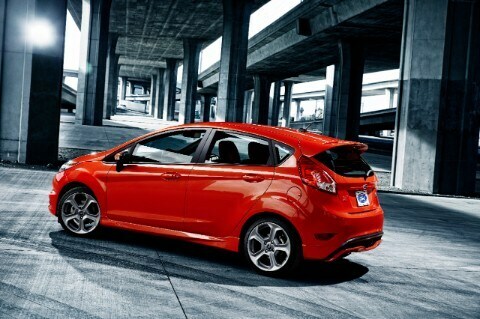 Those drivers who want the ST will need to go with the hatchback as no sedan is offered. With impressive steering and handling and a nimble, maneuverable feel that's better than most softened, numbed appliances its size, the Fiesta is securely on the fun-to-drive side of the ledger in any form. The 2016 Ford Fiesta offers three different engines, each with its own character and set of goals. There is a 1.6-liter four cylinder with 120 horsepower and 112 lb.-ft. of torque. There is a 1.0-liter EcoBoost three-cylinder with 123 horsepower and 125 lb.-ft. of torque. There are also both five speed manual and six-speed PowerShift transmissions available. Even with the standard four-cylinder engine if you are willing to keep the revs up it is perfect for the light Fiesta and even has a great sense of responsiveness that one may not expect from a smaller engine. The four cylinder gets almost 40 miles per gallon which is also a highlight of the offering. 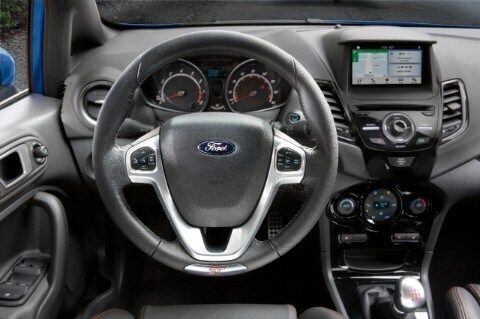 Ford continues to create customization on its vehicles and the Fusion is certainly no different. The Ford Fiesta is happy to offer four new exterior colors this year's which are: White Platinum Metallic TriCoat, Shadow Black, Kona Blue and Electric Spice. The SE Black Package is also something that seems very popular which takes an aggressive stance by featuring a black grille, 16-inch aluminum wheels, heated exterior mirrors also in black along with fog lights coming in black bezels. The Fiesta for 2016 is getting a new SYNC 3 system which is redesigned voice recognition command allowing for improved hands-free control of entertainment and communications. There is also an available LCD screen with pinch and drag technology as well as Applink and 911 Assist if available and when needed. New standard equipment for 2016 includes remote key-less entry and perimeter alarm on S trim levels. Those only needing basics will enjoy the entry level Fiesta S model which is a great look and coming with manual windows, air conditioning and steel wheels. The SE also has an alarm system, cloth interior and more. Can you help me finance my 2016 Ford Fiesta? The Ford Fiesta gets great marks with the National Highway Traffic Safety Administration receiving four out of five stars in front and rollover crash tests. The Institute of Highway Safety has given the Fiesta its top grade of "good" in many of its testing categories. Safety features coming standard are passenger and driver airbags on both the sides and fronts and also rear side airbags fir great overall protection. An Additional airbag exists for the driver's knees. There is electric power steering which also has Pull-Drift compensation helping to keep the vehicle on track. There is also four-wheel anti-lock brakes and a LATCH tether system for children. The vehicle also comes with tire pressure sensors and rear child safety locks. The Ford Fiesta continues to set a very high bar for small cars.